Home›Reviews›Sainted Sinners are Back With a Vengeance! Sainted Sinners are Back With a Vengeance! David Reece, best known for his short stint in Accept in the late 80s, and for being the frontman of Bangalore Choir, made a surprise comeback last year with his new band, Sainted Sinners. The group’s record was a throwback to classic hard rock sounds, with elements of bands like Deep Purple thrown into the mix. In fact, the release was my number one album of 2017 (certainly no small task when you consider what the band was up against). Going for a back-to-back, one-two punch, Reece has surprised audiences yet again, releasing a second Sainted Sinners album just a year after the first one. 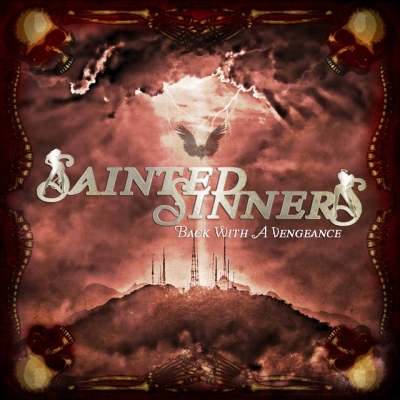 Sainted Sinners teams vocalist Reece up with guitarist Frank Pane, bassist Malte Frederik Burkert, and drummer Berci Hirleman; the rhythm section had previously played together in the band Purpendicular. Hearing that Sainted Sinners had a follow-up to their first release coming out was definitely a shock; the first album was my favorite of last year, so could a band truly follow it up and do justice to the solid reputation of the debut? 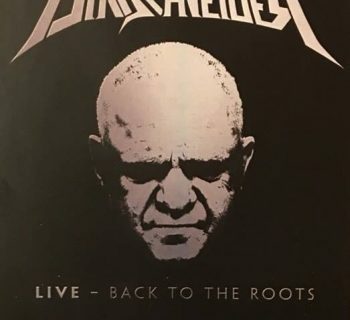 Does Back With a Vengeance live up to the name, or is this a sophomore slump that shows the band should have taken more time putting out their second release? Back With a Vengeance proves that lightning most definitely does strike twice for Reece and company. And while Reece’s name will probably be the main selling point behind the band/album, the real standout player throughout the release is guitarist Frank Pane, who is criminally underrated, and gets an opportunity to stand out on nearly every track on the album. This release is definitely more experimental and musically adventurous than the debut, though I would not call it “progressive” by any means. While there are more of the straightforward hard rockers we got on the first record, a handful of the cuts on here go in a more soulful, bluesy direction. These tunes, while certainly different from the debut, all remain surprisingly impactful. While I myself still prefer the straighter approach of the first record, their sophomore release is nothing to scoff at. On Back With a Vengeance, the Sainted Sinners boys are, well, back with a vengeance. It is a solid new release from one of the best “new bands of classic artists” out there; David Reece has allied with some of the best players in the business for an unforgettable rock and roll experience that isn’t afraid to branch out. The album releases on February 16, 2018, and when it hits stores, will be well worth adding to your hard rock collection. Highly recommended! 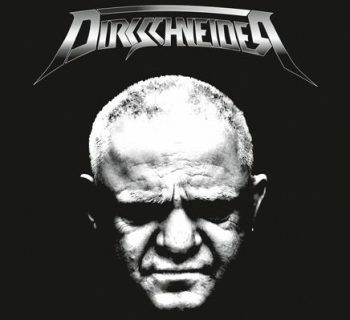 Udo Dirkschneider - Live: Back to the Roots is the Former Accept Frontman's Farewell to This Era!